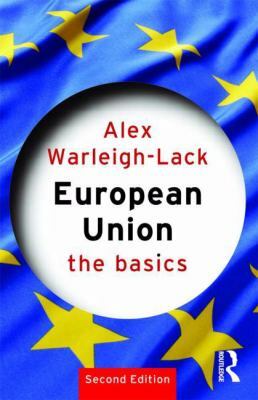 Fully updated to include the new Treaty of Lisbon, this is the best short and accessible introduction to the politics of the European Union, written by one of the world's most well-known authorities in the area. Ideal starting reading for students and the general reader, it explains in clear jargon-free language: the EU's development to date how the EU works, and why it works this way the EU's major policies the EU's biggest problems and controversies the EU's likely evolution in the coming years. The new edition builds on the strengths of the previous edition and now includes extra material on: the Treaty of Lisbon the EU's development since 2003, including its enlargements in 2004 and 2007 recent EU policies and rule changes the EU's role in the world. Key features to help learning and understanding are: boxed descriptions of key issues and events a guide to further reading at the end of each chapter a glossary of key terms, concepts and people helpful appendices about the EU's member states and good internet sources.Warleigh-Lack, Alex is the author of 'European Union', published 2008 under ISBN 9780415414678 and ISBN 0415414679. Loading marketplace prices 139 copies from $11.12 How does the rental process work?